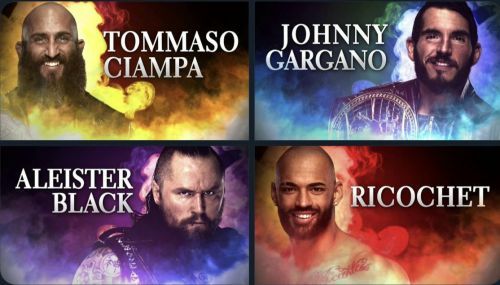 Ten superstars have recently been called up by NXT and those ten superstars were Otis and Tucker of Heavy Machinery, Lacey Evans, Nikki Cross, EC3, Lars Sullivan, Aleister Black, Johnny Gargano, Ricochet, and Tommaso Ciampa. WWE has slowly been implementing these call ups on the main roster and it is only a matter of time before they find permanent homes on either Monday Night Raw or SmackDown Live. There are a number of dream matches for each of these call-ups. In order for these matches to qualify as dream matchups, they have to have never happened on WWE television before so matches like Asuka vs Nikki Cross and Johnny Gargano vs Andrade do not count. There are several great tag teams for Heavy Machinery to face but the best tag team that they can possibly face is the underutilized team of SAnitY. 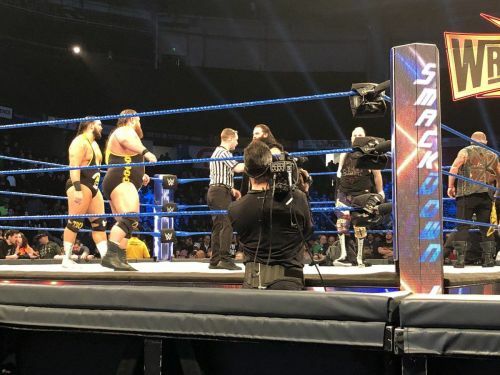 It is always fun to see matches between two big men and nothing would be quite as fun as seeing Otis and/or Tucker face off with the monstrous Killian Dain. The best combination of SAnitY to face off with Heavy Machinery would be Killian Dain and Eric Young. Those two can be seen as the best members of the stable and would definitely have a great match. Some impressive moves hit in the match include a Coast to Coast from Killian Dain, an elbow drop from Eric Young, and a moonsault from Tucker. The Lady of WWE is reportedly set to become WWE's next big star in the women's division. However, before she becomes a top star, Lacey Evans needs to have a great match that can define her career. The best woman for Evans to compete against is most definitely Sasha Banks. Sasha Banks is one of the best women in the entire division and truly is the Legit Boss. She has carried several women including Alexa Bliss and Nia Jax to great matches in the past and can definitely do the same with Lacey Evans. Some impressive counters can include the slingshot elbow into the knee strike from Sasha Banks, a suicide dive into a Woman's Right from Lacey Evans, and a moonsault into a Bank Statement from Sasha Banks. WWE Superstar Shake-Up 2019: Where will the NXT call-ups land?